Many people in Timonium would like to straighten their teeth and improve their smile with braces, but a lot of them keep putting it off. A common reason for this is because it requires metal braces. Not so fast! 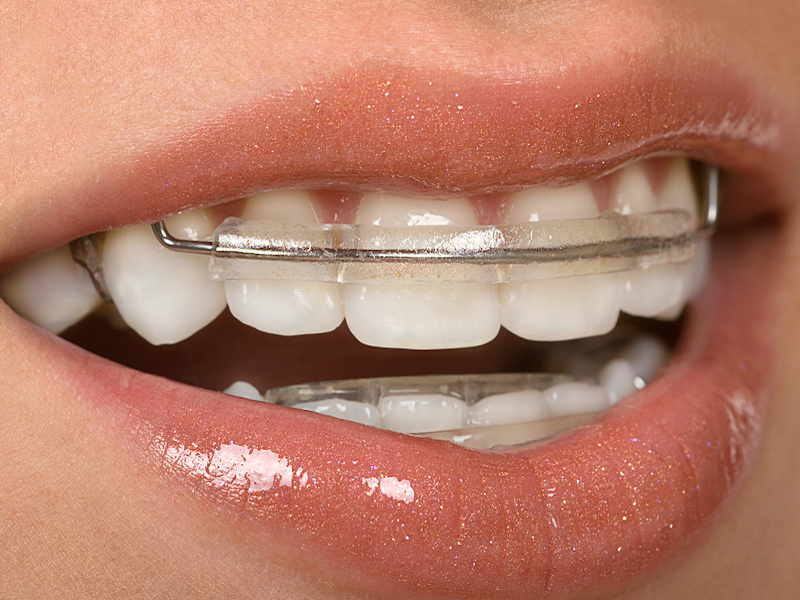 Metal braces are not required for every tooth alignment issue. An orthodontic appliance known as a spring retainer can be a great solution for people who need just a little adjustment to correct the alignment of their teeth. Spring retainers are removable, less noticeable, and less expensive than conventional braces. Spring retainers can move teeth one to two millimeters in the desired direction, and are often recommended for orthodontic patients who neglected to wear their retainer after undergoing orthodontic treatment to have their teeth corrected. An increasingly popular option is clear braces. At Dr. Steven W. Haywood DDS, we offer Invisalign braces for both adults and teenagers. They consist of aligner trays that are worn over the teeth like a mouthguard. The aligners are customized to each patient’s teeth. Since they are clear, they are not very noticeable. And they are made to be removed during mealtimes and at night. Dr. Steven W. Haywood DDS offers a full range of cosmetic and general dentistry. We’re a holistic practice offering mercury-free fillings. ‹ Beautiful Smiles in Timonium!